We are a family-run company, serving the Oconomowoc area for over 60 years. 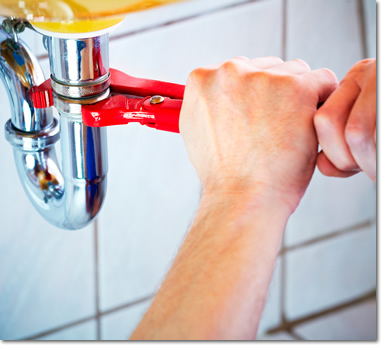 Offering 3rd generation master plumbers, we have over 100 years of combined plumbing experience. This lets us fix nearly anything right the first time. Our large inventory of in stock parts, along with modern tools, allows us to expedite every job we do. As such, we service all major brands of plumbing and pumps. We have over 5000 happy and loyal customers. Call us for references in your neighborhood. Plagued by plumbing problems? Distressed by dirty drains? Don't let your pipes become a predicament. Call the professional plumbers at Sterling Mainz & Pumps. Let us be your one stop for plumbing, pumps, and water heater needs. Our plumbers don't just fix your pipes and plumbing, we go the extra mile to make sure you are completely satisfied with the job. We've got you covered with an extensive parts inventory and because you deserve the best, each of our trained technicians is fully trained and licensed. We install, maintain, and repair many different types of pipe systems. And at Sterling Mainz, we're so much more than just plumbing and pumps. We also specialize in installation and repair of water heaters, water pumps, disposals, and water and gas lines. Plus we do video inspections and remodeling. Hydro Jetting Sterling Mainz & Sons Plumbing & Pumps, Inc.